Whether you were born with unsightly ears or suffered damage to your ears during trauma, there are excellent solutions in facial plastic surgery that can help you regain natural, proportional and aesthetically pleasing ears. While the ears are not commonly remarked upon for their beauty, a distortion in size or shape can cause significant asymmetry in the face. They can become a distraction from the beauty of other facial features. 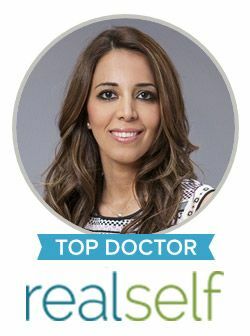 Dr. Sanaz Harirchian is an elite ear plastic surgeon in Houston who carries unrivaled skill and talent when it comes to reshaping the ears, repairing the earlobe or reducing the size of the ears. Ears that are overly large or protrude from the head can be a source of ridicule for young children. Otoplasty is a proven ear surgery technique that can reverse the appearance of congenital ear deformities that involve protruding or prominent ears in children or adults. In general, plastic and reconstructive surgery for the ears involves little to no downtime. In addition, Dr. Harirchian uses the most minimally invasive techniques available to facilitate maximum results with the quickest recovery. While ear surgery can produce exceptional cosmetic improvements for the face, patients should not be concerned that the hearing function of the ear will be compromised in any way. If you are unhappy with the size or shape of your ears or if an ear injury is making you self-conscious about your facial appearance, please consult Houston’s leading facial plastic surgeon. Dr. Harirchian is an Ivy-League trained and fellowship trained plastic surgeon who solely focuses on the features of the face. She uses a personalized approach with patients so that their ideal goals and clinical needs are met in the most rewarding way. Ear surgery can be performed as a single procedure or paired with other cosmetic procedures to create an overall balanced and rejuvenated appearance. Contact Sanaz Harirchian, MD today to discuss your candidacy for cosmetic ear surgery.